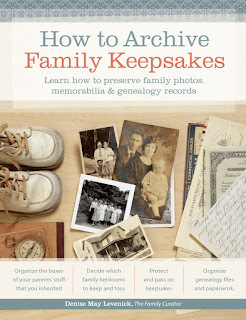 Thursday on Shades is pleased to join the Blog Book Tour for a new resource - How to Archive Family Keepsakes. From the hand and mind of Denise Levenick (aka Penelope Dreadful), The Family Curator, comes a true family treasure in the form of, How To Archive Family Keepsakes. Many of us find ourselves in the position of family curator. How each of us deals with that position is often the true story. Denise Levenick has a longtime interest in her family history. Stories of her maternal grandmother growing up in Colorado and Kansas nurtured that interest and a steamer trunk full of letters and photographs sparked her odyssey. While wandering the web one day I bumped into Denise's experiment in family history. She was writing about a transcription project for her class of high school students using her family letters. I was hooked on her project and her writing. I asked Denise to write a Friday from the Collectors article and we've been friends ever since. 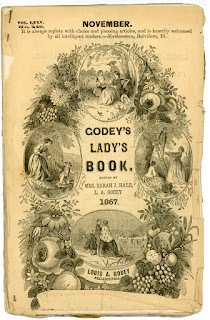 The story of her student transcription project can be found here, Reading Women's History - A Family History Project in the High School English Classroom. When the idea for a work of fiction associated with an old photograph, called Penny Dreadfuls, was formed on Shades The Magazine, Denise was the obvious choice to became the voice of Penny. Penny Dreadfuls are a reader favorite in Shades The Magazine. Denise, a native Californian, has worked as an editor and journalist since publishing a neighborhood newspaper in grade school and taught both journalism and literature in Pasadena schools for 19 years. 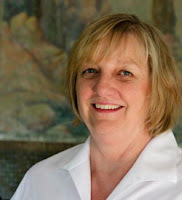 She is a writer, researcher, and speaker with a passion for preserving and sharing family treasures of all kinds. 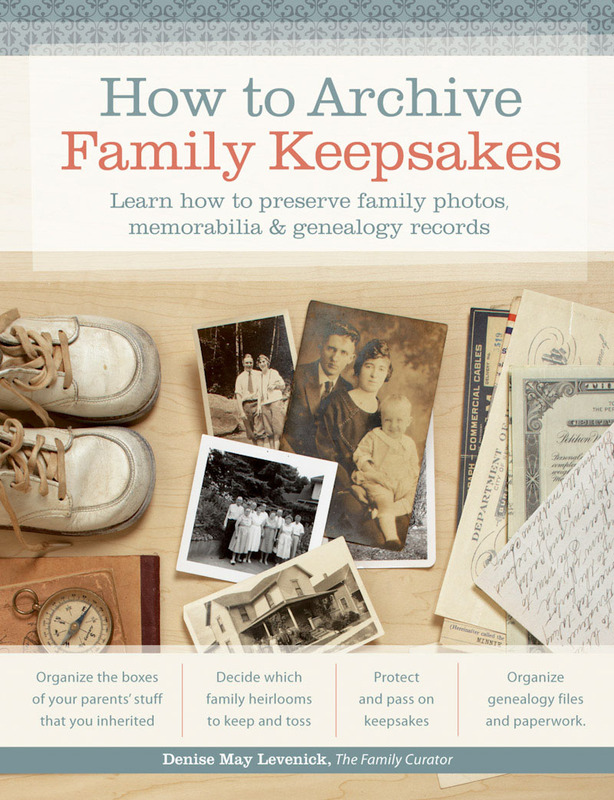 Denise is the creator of the award-winning family history blog, TheFamilyCurator and author of the new book How to Archive Family Keepsakes: Learn How to Preserve Family Photos, Memorabilia and Genealogy Records, (Family Tree Books, 2012). 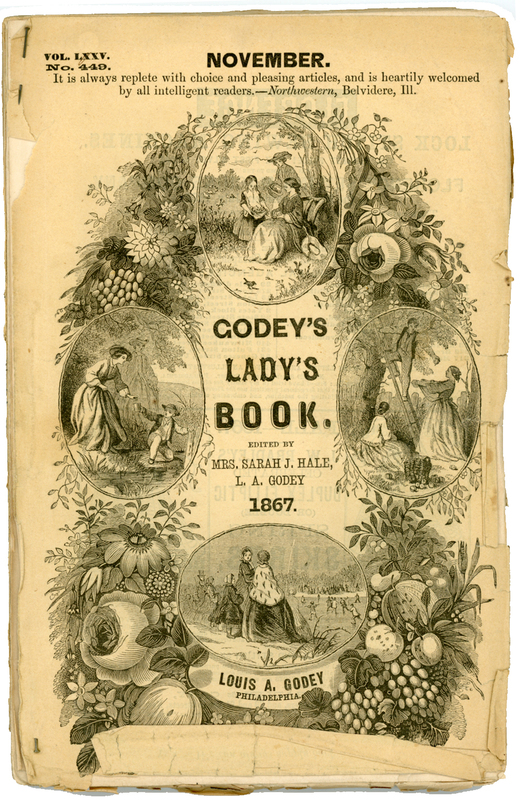 "Stuff" is a technical term used by genealogists, family historians and collectors to denote the material acquired in the pursuit of their passions. Stuff exists. Everywhere! But can you find it when you need it? Did you preserve it for generations to come? I have two paperweights designated "Stuff" and "More Stuff." I can't find a thing. Those who read Shades are interested in everything associated with photographs. "Can you find it when you need it? Did you preserve it for generations?" 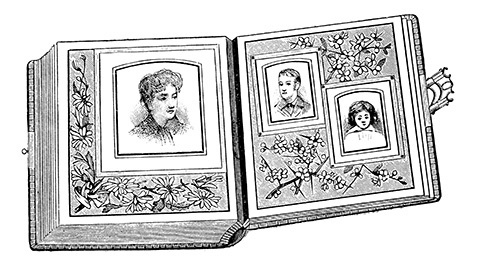 are questions with solutions found in How To Archive Family Keepsakes. Organization takes a front seat in Denise's exceptionally well written and researched resource. Organization is the first word in the title of each chapter contained in the book. And organize she does and so will you once you read the book. 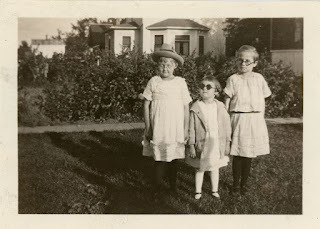 Of particular interest to readers of Shades is "Chapter 7 - Organize Archival Photos." Denise not only discusses the range and types of photographs we encounter, but also caring for them, organizing them, and storing them. I enjoyed reading Cautions, Tips, and Resources appearing in each chapter. They were packed with information. "Chapter 10 - Digitize Your Family History" begins the journey into the world of computers, scanners, and digital archiving. Follow Denise's workflow examples; she has a confidence building common sense approach to technology. While highlighting these two chapters, you should know that every chapter in the book is relevant to the position of curator and collector. You can use the book for quick answers, efficient archival workflow, digital savvy, collecting strategies, and most importantly confidence. Confidence that no matter what you acquire you have an answer as to how to proceed. I keep the book on my desk and refer to it often. Treat yourself! It is so worth it. Join the Blog Book Tour for How to Archive Family Keepsakes January 10-26, 2013, for author interviews, book excerpts, giveaways, and more. Visit the Blog Book Tour Page at The Family Curator website for the complete schedule. Paperback from Family Tree Books, Amazon.com; PDF eBook from Scribd. Also, make sure your use this 10% Savings Coupon: ShopFamilyTree. In the iTunes store for iBooks here. Full Discloursure: I received an autographed copy of the book from the author as a "cheer me up" gift when the world landed on me this past year. I can't thank her enough, but you can bet I would have bought it no matter what. fM, so thankful you are blogging again - especially hosting Denise on the blog tour for her book! I FB'ed Denise yesterday to tell her that the "tour" has inspired me to start documenting my keepsakes! Great to read you again,fM, & way to go, Denise! Glad to see a post from fM!!! already added the book to my amazon wish list - needing something to help me organize AND preserve! I'm so glad to see you putting fingers to keyboard and thoughts to bytes and showing us pictures and talking about Denise's book. This is great! LOVE reading on this page! Welcome back cousin! I am so enjoying the tour of Denise's book! It is on my list of must haves! Wonderful job Denise! I love your article especially the writing challenge using a family photo. What a great way to spark imagination! My mother inherited photo albums upon the death of her mother in 1973. I hope to assist her in getting these albums digitized. I am putting this book on my wish list, I think I know what my birthday present will be this year. Thank you all! It's good to be back, but I'm so rusty. Go away for a while and Blogger changes everything. Good luck to you all. Hope you win the Archival Photo kit. This sounds like the book for me; not everything is a photograph; everything seems to have a story. I'm looking forward to figuring out what to do with the 1937 Pyrex casserole, new-in-box with the handwritten receipt from the Seattle Bon Marche. Eric J. Wilson, Everett, WA. 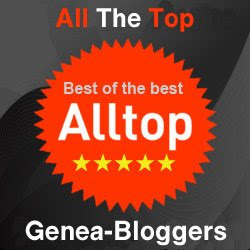 Been missing your blog! I am so glad you are feeling better and part of the tour. I am very interested in learning the best way to preserve all the family pictures that I have. The more I read on this book tour the more I realize that I need this book! Bit rusty on Blogger? A good time to make the jump to WordPress! Delighted to see you and Denise collaborating again - and for such a good cause. Thank you, fM, for putting out the red carpet for the blog book tour! I love visiting Shades! I'm so happy to read a blog from Footnote Maven, and more persuaded than ever to buy Denise's book. I'm in the midst of archiving about 1000 photographs, with a fraction of them over 100 years old. And I'm finally confronting the ephemera stored in boxes . . . I'm getting excited to read the book! I have many different types of photos to archive. I enjoyed reading about Denise's scanning workflow on her blog, so I'm sure the book will have even more great stuff! Love your Shades Magazine! Lots of work to accomplish such a wonderful project Please continue these! Denise's book is on my acquire list of reference material. Looks like something I'll use for a long time. This book looks like a great one to help me organize the photos I have and get them digitized. As the wife of a professional photographer I know just how important it is to keep your photographs safe and cared for. Of all my family treasures my photos are the most important. When I'm asked what I would save first (after my family, of course!) I have always said "my photographs albums". 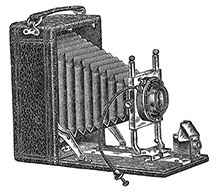 I look forward to discovering your new ideas for photo archiving.